Save Time & Money with Palletized Trees! Barr Evergreens has long recognized that by packing Christmas trees on pallets, manpower for loading, shipping and storage is greatly reduced. Many large Christmas tree retailers, Big Box stores and regional distributors are increasingly demanding Christmas trees shipped on pallets. Barr Evergreens can meet that need! Palletized trees are not only easy to load/unload, but they are easy to inventory, less expensive than Premium, and you save on freight! 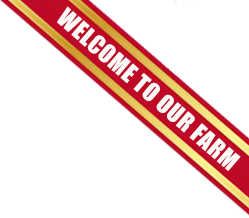 Barr Evergreens has no problem with multi-drops and can put a UPC tag on each tree. 26 pallets come per load and Barr Evergreens offers delivered pricing. 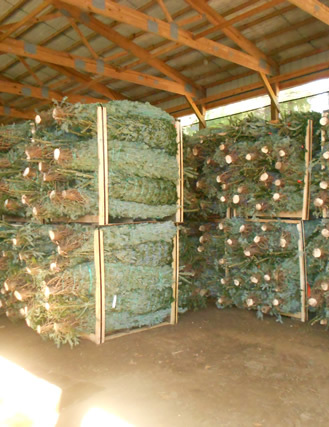 Available varieties of palletized trees include Fraser Fir and White Pine.